Aberdeen, Scotland Aberystwyth, Wales Amersham, Buckinghamshire Amesbury, Wiltshire Andover, Hampshire Ashford, Kent Ashington, Northumberland Aylesbury, Buckinghamshire Banbury, Oxfordshire Bangor, Wales Barnstaple, Devon Barrow-in-Furness, Cumbria Basingstoke, Hampshire Bath Beaminster, Dorset Bicester, Oxfordshire Birmingham, West Midlands Bishop's Stortford, Hertfordshire Blandford Forum, Dorset Blackpool, Lancashire Bodmin, Cornwall Bognor Regis, West Sussex Boston, Lincolnshire Bournemouth, Dorset Bourton-on-the-Water, Gloucestershire Bradfield, Berkshire Bradford, West Yorkshire Braintree, Essex Brentwood, Essex Bridlington, East Yorkshire Bridgnorth, Shropshire Bridgwater, Somerset Brighton, East Sussex Bristol Bromyard, Herefordshire Buckingham, Buckinghamshire Bude, Cornwall Burghfield, Berkshire Burnham-on-Sea, Somerset Burnley, Lancashire Bury St. Edmunds, Suffolk Buxton, Derbyshire Cambridge, Cambridgeshire Canterbury, Kent Cardiff, Wales Carlisle, Cumbria Charminster, Dorset Chelmsford, Essex Cheltenham Chesham, Buckinghamshire Chester, Cheshire Chesterfield, Derbyshire Chester-le-Street, County Durham Chichester, West Sussex Chieveley, Berkshire Chippenham, Wiltshire Chipping Campden, Gloucestershire Chipping Norton, Oxfordshire Cirencester, Gloucestershire Clacton-on-Sea, Essex Colchester, Essex Cold Ash, Berkshire Corby, Northamptonshire Crawley, West Sussex Cricklade, Wiltshire Crosby, Merseyside Croydon, Greater London Crewe, Cheshire Daventry, Northamptonshire Derby, Derbyshire Dereham, Norfolk Devizes, Wiltshire Dorchester, Dorset Dundee, Scotland Durham, County Durham Dursley, Gloucestershire Eastbourne, East Sussex Eastleigh, Hampshire Edingburgh, Scotland Enfield, Greater London Evesham, Worcestershire Exeter, Devon Exmouth, Devon Fairford, Gloucestershire Falmouth, Cornwall Farnborough, Surrey Farnham, Hampshire Farnham, Surrey Folkestone, Kent Gateshead, Tyne and Wear Gillingham, Kent Glasgow, Scotland Glastonbury, Somerset Gloucester Grantham, Lincolnshire Great Malvern, Worcestershire Great Shefford, Berkshire Great Yarmouth, Norfolk Grimsby, North East Lincolnshire Guildford, Surrey Halifax, West Yorkshire Harlow, Essex Harrogate, North Yorkshire Haslemere, Surrey Hastings, East Sussex Hereford, Herefordshire Hexham, Northumberland Highworth, Wiltshire High Wycombe, Buckinghamshire Hounslow, Greater London Huddersfield, West Yorkshire Hull, East Yorkshire Hungerford, Berkshire Huntingdon, Cambridgeshire Inverness, Scotland Ipswich, Suffolk Kettering, Northamptonshire Kidderminster, Worcestershire Lechlade-on-Thames, Gloucestershire Keighley, West Yorkshire Kendal, Cumbria Kington, Herefordshire King's Lynn, Norfolk Ledbury, Herefordshire Leeds, West Yorkshire Leicester, Leicestershire Leominster, Herefordshire Lincoln, Lincolnshire Little Hungerford, Berkshire Liverpool, Merseyside London Loughborough, Leicestershire Lyme Regis, Dorset Macclesfield, Cheshire Malmesbury, Wiltshire Manchester, Greater Manchester Mansfield, Nottinghamshire Margate, Kent Market Harborough, Leicestershire Market Weighton, East Yorkshire Marlborough, Wiltshire Melton Mowbray, Leicestershire Minehead, Somerset Moreton-in-Marsh, Gloucestershire Nailsworth, Gloucestershire Newark-on-Trent, Nottinghamshire Newbury, Berkshire Newcastle-upon-Tyne, Tyne and Wear New Forest, Hampshire Newquay, Cornwall Newton Abbot, Devon Northampton, Northamptonshire Norwich, Norfolk Nottingham, Nottinghamshire Nuneaton, Warwickshire Oakham, Rutland Oswestry, Shropshire Oxford, Oxfordshire Painswick, Gloucestershire Plymouth, Devon Porstmouth, Hampshire Preston, Lancashire Reading, Berkshire Redditch, Worcestershire Ross-on-Wye, Herefordshire Rothbury, Northumberland Royal Leamington Spa, Warwickshire Royal Tunbridge Wells, Kent Royal Wootton Bassett, Wiltshire Rugby, Warwickshire Salisbury, Wiltshire Scarborough, North Yorkshire Scunthorpe, North Lincolnshire Sedgefield, County Durham Shrewsbury, Shropshire Skegness, Lincolnshire Southend-on-Sea, Essex Southampton, Hampshire South Shields, Tyne and Wear Stafford, Staffordshire Stalbridge, Dorset Stevenage, Hertfordshire Stoke-on-Trent, Staffordshire Stowmarket, Suffolk Stow-on-the-wold, Gloucestershire St. Agnes, Cornwall St. Albans, Hertfordshire St. Ives, Cornwall St. Leonards, Dorset St. Neots, Cambridgeshire Stratford-upon-Avon, Warwickshire Stroud, Gloucestershire Swanage, Dorset Swansea, Wales Swindon, Wiltshire Taunton, Somerset Tetbury, Gloucestershire Tewkesbury, Gloucestershire Thatcham, Berkshire Torquay, Devon Towcester, Northamptonshire Trowbridge Truro, Cornwall Uppingham, Rutland Wakefield, West Yorkshire Warminster, Wiltshire Warrington, Cheshire Washington, Tyne and Wear Watford, Hertfordshire Wellingborough, Northamptonshire Wells, Somerset Welwyn Garden City, Hertfordshire Wembley, Greater London Westbury, Wiltshire Weston-super-Mare, Somerset Weymouth, Dorset Whitby, North Yorkshire Wigmore, Herefordshire Wimbourne Minster, Dorset Winchcombe, Gloucestershire Winchester, Hampshire Winsford, Cheshire Witney, Oxfordshire Worcester, Worcestershire Worthing, West Sussex Yeovil, Somerset York, North Yorkshire Where are you travelling from? At the Piano Gallery, we want to help you find the perfect piano, we will listen to what you want, and help you find it. We don't “sell” pianos at The Piano Gallery, but we do help you find exactly what you're looking for. Everybody's perfect piano is different, that's why we stock over 140 pianos, so that we really can have 'A piano for everyone'. We guarantee that we will have the perfect piano for you, and if we don't already have it in our beautiful showroom, we will do our very best to source it for you. Exemplifying Yamaha’s well-established design principles and109cm high, the b1 redefines the word value. 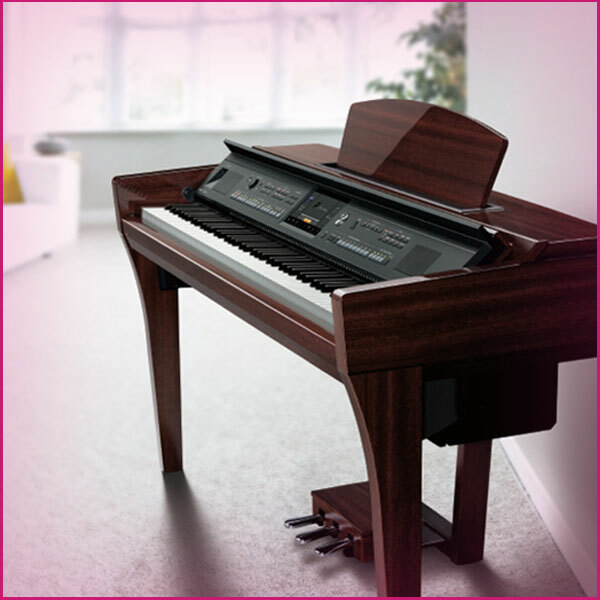 Undercutting lesser competitors whilst retaining Yamaha standards in every way, b1 offers the joy of new Yamaha piano ownership at a price that will astonish and delight. We always have a selection of Yamaha b1 pianos for sale in our showroom - please do come in and enjoy a play. Are you looking for a piano? At The Piano Gallery near Oxford, we specialise in the sale of quality new and used grand and upright pianos. 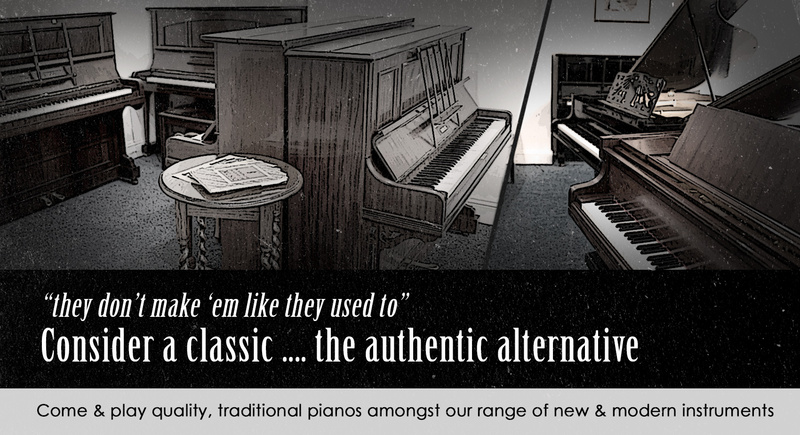 We stock new, pre-owned, modern and traditional pianos. Our stock of over 130 pianos is available to see and play in our large showroom in Faringdon. We really do have a piano for everyone. Prices start from £1000. 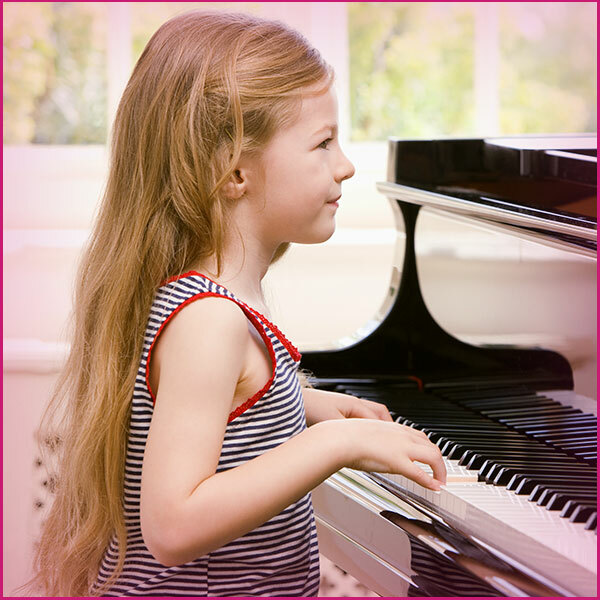 Are you looking for a piano, but unsure whether to buy new? second hand? Would you really love an older, traditional style piano but have heard bad things about them? Why not judge for yourself? 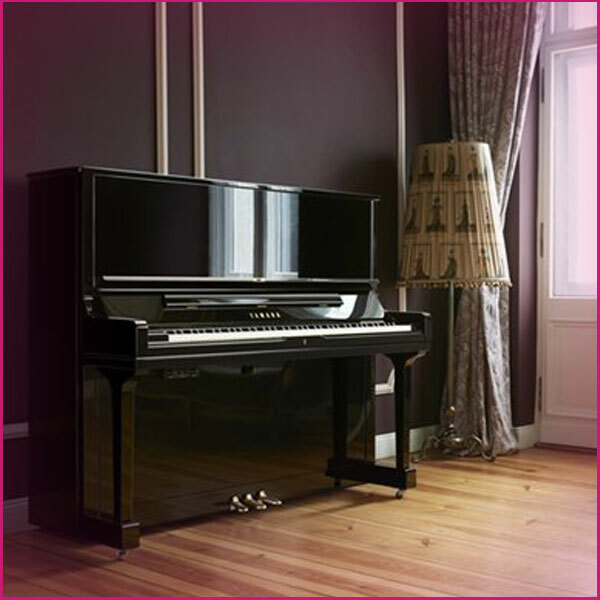 At the Piano Gallery showrooms in Faringdon, Oxfordshire, we stock every kind of piano you can imagine. Whether you have a budget of a few hundred pounds or a few thousand pounds, we will have plenty of pianos for you to choose from. 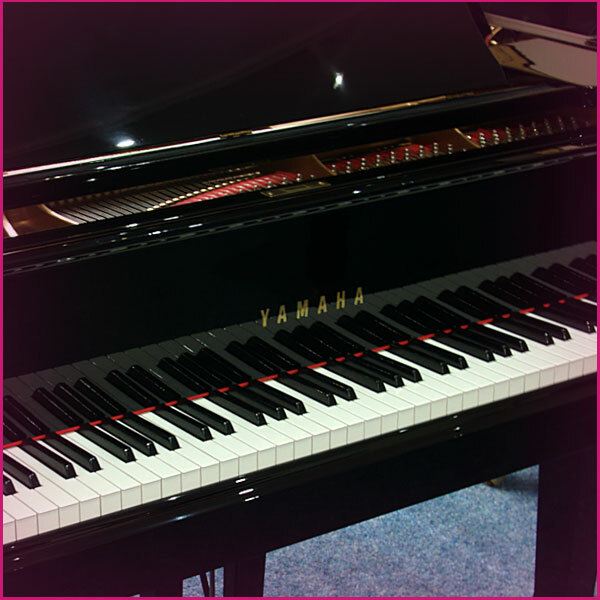 We have over 130 pianos on display, the best range of upright and grand pianos you will find under one roof! 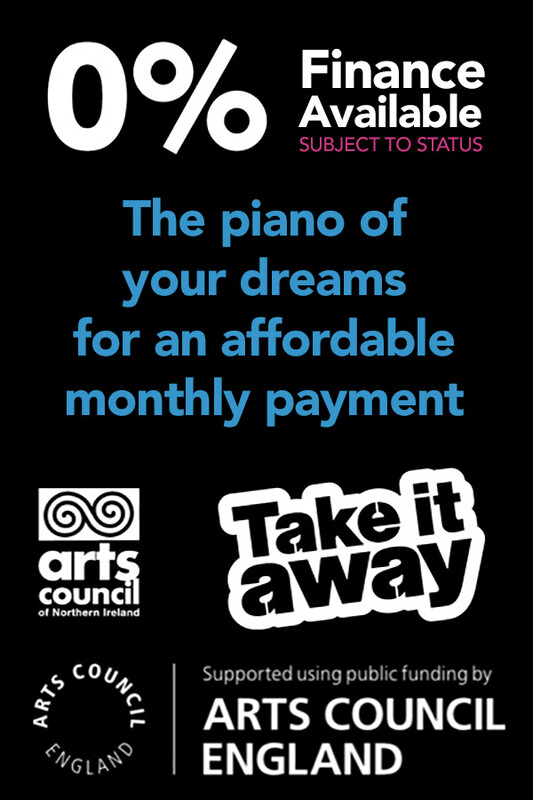 We also offer monthly payment options, making owning your own piano even easier. 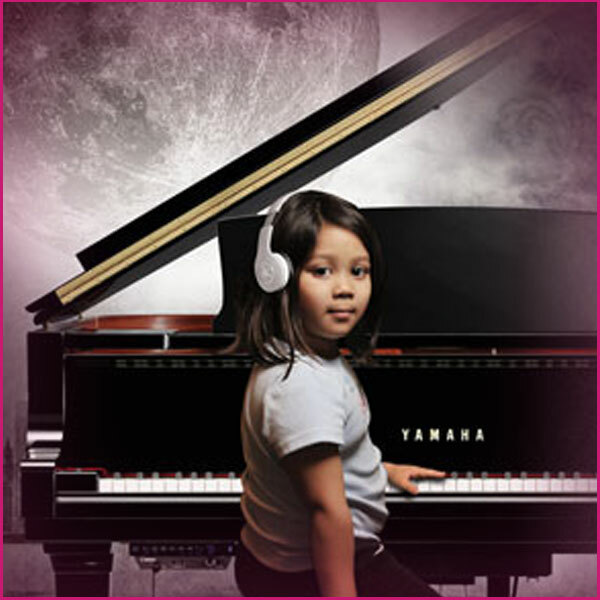 We stock new and second hand Yamaha pianos, and are dealers for NEW Yamaha acoustic and digital piano. We have a great selection of 'nearly new' Yamaha upright and grands which are under 30 years old, these pianos offer tremendous value for money, but you will have to snap one up quickly, they do not stay in stock for long. We are suppliers of Yamaha Approved reconditioned U1's and U3's. The used Yamaha piano market is a minefield. You will find some good pianos, and some not so good. Judging the condition of a used Yamaha can often be difficult to an un-trained eye. 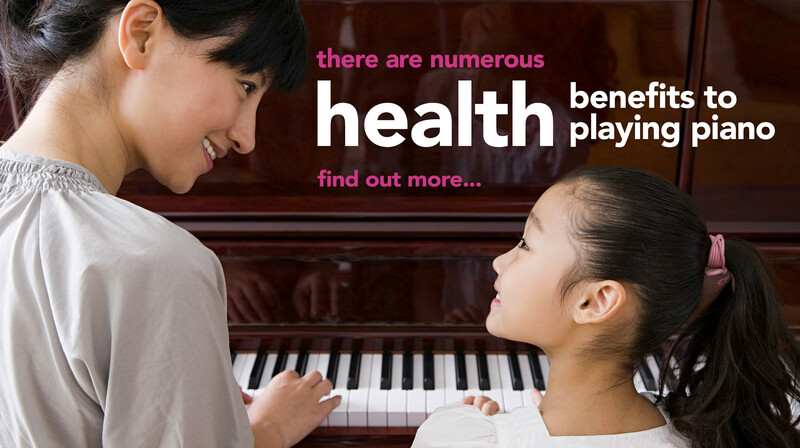 Let us help you find the perfect piano. Will the Piano Gallery deliver a piano to London? the Midlands? Manchester? Scotland? Cornwall? Kent? YES! We deliver FREE OF CHARGE anywhere mainland UK. Stair work is subject to additional fee. We are close by to Swindon, Oxford, London, Bristol, Bath or Cheltenham. 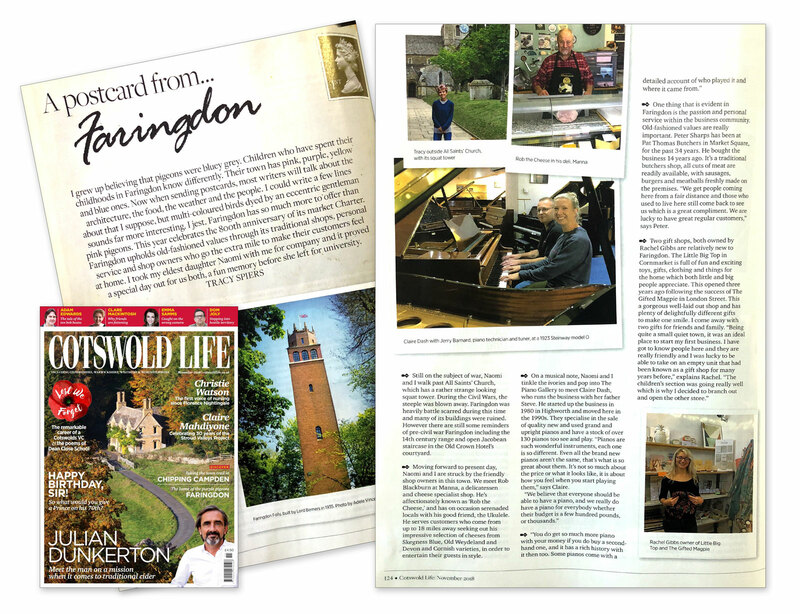 The Piano Gallery, which is located on the outskirts of Wiltshire, is located in the historic market town of Faringdon.We are located just under 20 miles SW of Oxford, & 12 miles NE of Swindon. Farindgon is situated within easy reach of the beautiful city of Oxford, Cirencester, The Cotswolds, Cheltenham, Abingdon & Witney. and yet only an hour away from London, Dorset, Surrey, Suffolk, Bristol, Gloucester and the Midlands. A Piano Shop with over 140 pianos on display! Not everybody wants a new piano, so our Faringdon showrooms display over 100 pianos, including many secondhand pianos, all for sale and available to play and compare. We offer Hire to Buy rental schemes, Payment plans (subject to status) and starter pianos from just £500 including delivery. Whether you are looking for an upright piano or grand piano, a Yamaha C3 grand or a starter piano, a reconditioned Steinway or Bechstein grand, we have a choice of quality instruments to suit every budget. We pride ourselves in offering sound advice & quality instruments, which are all available to try under one roof in a friendly & relaxed environment. We promise absolutely no high pressure sales, just honest advice, a wide range of pianos to suit all abilities and budgets, and a cup of tea in a relaxed, pleasant environment.